PSV uses light extinction (particle shadows) rather than light scattering in a laser sheet, resulting in high-quality particle imaging at much lower illumination levels. These safe illumination levels can be generated by a pulsed-LED system at a fraction of the cost of a pulsed laser. 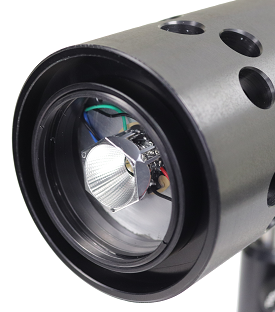 Multi-color LED illumination permits the use of a low-speed camera, further reducing system cost. Different color LEDs are sequentially pulsed, at high speed, and the sequential particle images are captured in a single frame on the camera’s three color planes. 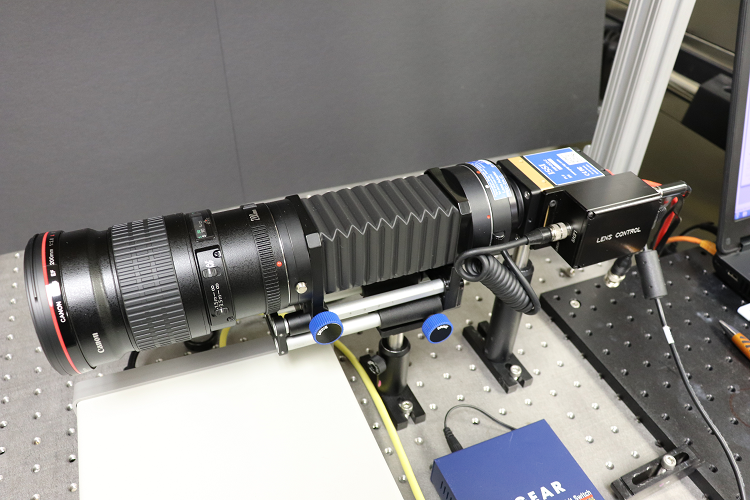 Narrow depth-of-field optics are employed to image a two-dimensional plane within the flow volume, similar to what is achieved with a laser sheet. Measurement close to surfaces is possible because the system is not degraded by surface reflections which severely limit laser-based systems. The PSV approach is fully compatible with the seeding approaches and specifications used with conventional PIV systems. The PSG-3 is a four channel pulse/delay generator used for controlling the timing of experiment parameters and can be used as an experiment master clock or externally triggered (or gated) by an external event. Pulse width, delay, repetition rate, and other timing parameters are controlled by a simple internet browser interface and communication is via ethernet connection. No software installation is needed and the PSG-3 is Mac or PC compatible. API commands also available to allow the PSG-3 to be incorporated into a larger data acquisition system via either ethernet or USB 2.0. The PSG-3 can be controlled over any web-enabled device such as a tablet or smartphone. To have this functionality, the PSG-3 must be connected to a wireless access point, such as an Apple Airport Express. The LM2X-DMHP-RGB is an LED light source that provides 3 color (Red, Green, and Blue) outputs from its LED head. This LED is used for Particle Shadow Velocimetry (PSV) to illuminate small seed particles in a flow field to measure velocity and particle density. The LM2X-DMHP-RGB has 3 BNC inputs to control the timing and pulse width of each of the output colors from an external pulse generator. The pulsed LED operation is controlled by applying a TTL voltage to the external BNC(s) on the module. The rise time is less than 200-ns and the fall time is less than 100-ns and the duty cycle is 5%. The light distribution from the unit is approximately Gaussian for distance greater than 18 inches from the source. Between the camera and the lens, extension rings are used to move the lens away from the CCD chip of the camera. This will reduce the amount of light coming into the camera, thus narrowing the depth of field. 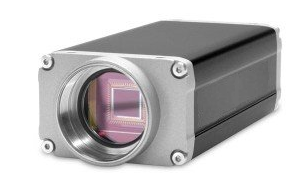 Ideally, the depth of field for PSV is 0.5 to 1.0 mm. This is done so that a sheet of particles is imaged, blurring out all out of plane particles so that the velocity vectors obtained are only in 2-dimensions. A similar technique is used in Particle Image Velocimetry (PIV), except a laser is used in place of an LED to illuminate particles. The extension rings will also shrink the field of view of the camera.